This cheese ball was one of the super bowl snacks I made. I would say it was my favorite snack of the night too. 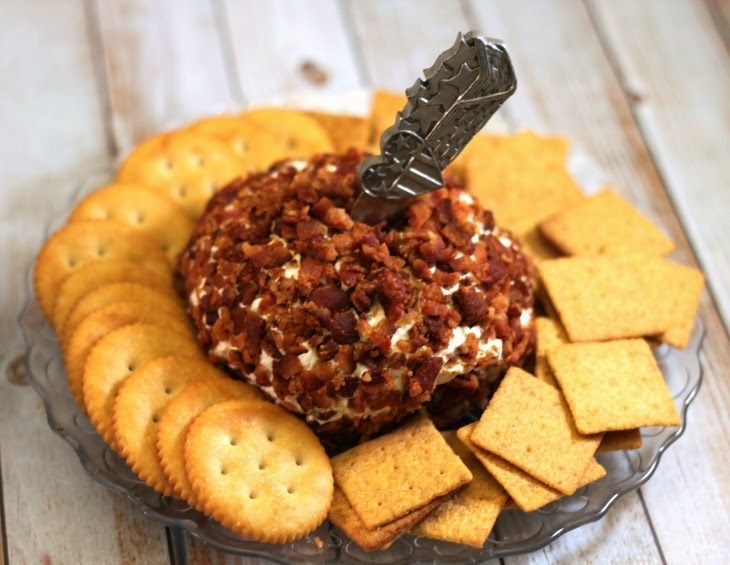 I rolled the cheese ball in bacon instead of nuts and boy did that ever bring out the flavor in the spices. Fry bacon, drain and set aside. Put all remaining ingredients in mixing bowl and mix well. Scoop cheese ball mixture out of bowl and make into a ball. 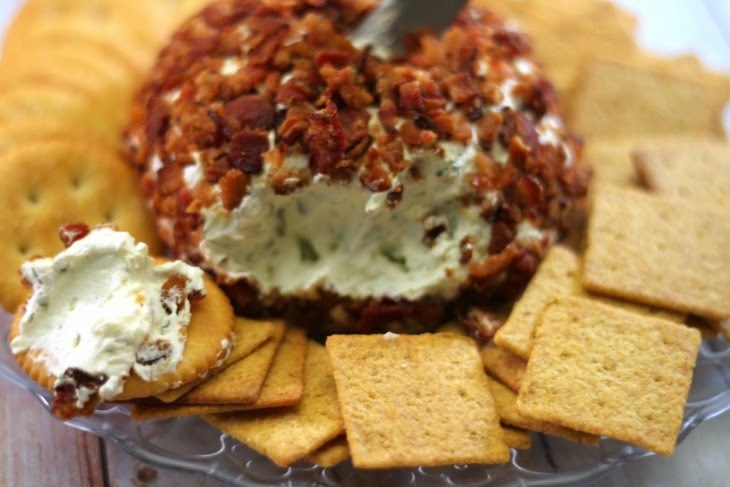 Gently roll the cheese ball in the bacon. Wrap cheese ball in plastic wrap and chill until ready to serve. Yuuum! Bacon and ranch is the best. I know my whole family would love this! Hope it is a big hit like it was at our house! My two favorites, together? Delicious! Can't wait to try. My two favorites also! It was really delicious! This looks delicious! Pinning. I found your link on Treasure Box Tuesday. 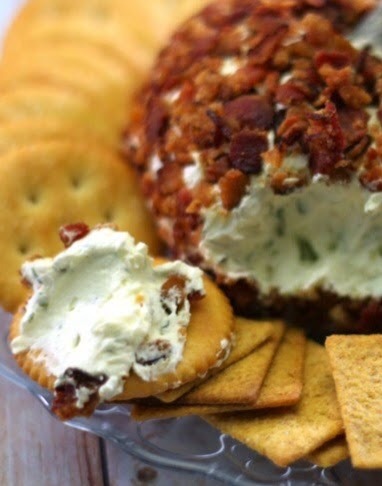 Oh, this looks so good, and I've been wanting a cheese ball. I know it's weird, I just want cheeseballs occasionally. This look delicious. Cant wait to try it. Husband will LOVE it. That looks delicious!! Perfect for parties! Our motto here is bacon makes everything taste better! :) Thanks for sharing it with us at #FoodieFriDIY! Mmmm, you had me at bacon! Sounds perfect for watching the big game. Thanks for sharing at the This Is How We Roll Link Party at Organized 31. This cheese ball looks delicious! How could it not be with it being rolled in bacon? Thanks so much for sharing at my Creative Ways Link Party. Hope you'll be back tonight to share with us more great recipes!